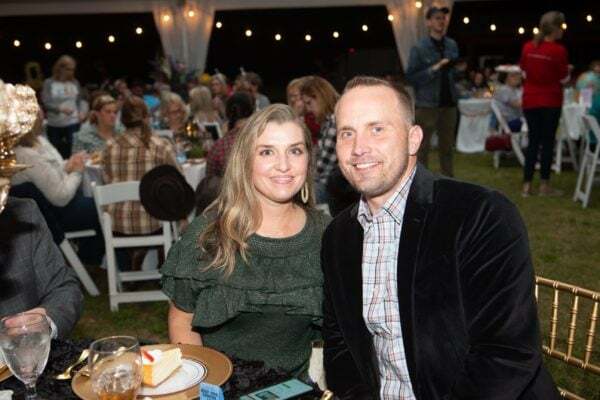 Tre and Jenny Wilkins’ firstborn daughter, Catie, was diagnosed with a rare brain cancer called medullablastoma on her first birthday. During Catie’s journey, the family learned that Tre’s cousin had passed away from the same cancer twenty years prior. 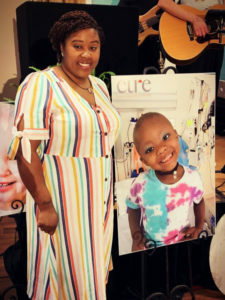 To their dismay, there had been no advancement in treatment for medullablastoma in two decades. 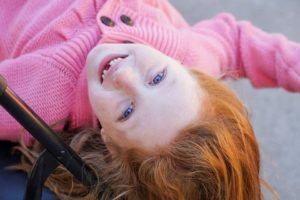 After a long and hard battle, the Wilkins lost Catie in 2007. After her passing, Tre and Jenny decided that they must do something to try to help improve treatment. 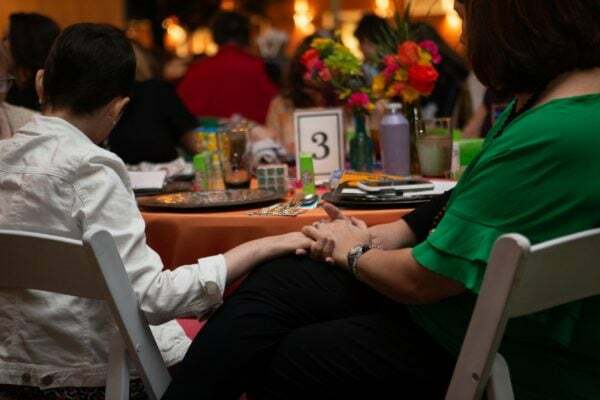 They couldn’t bear to think of another twenty years with no improvements in treatment to offer other families. 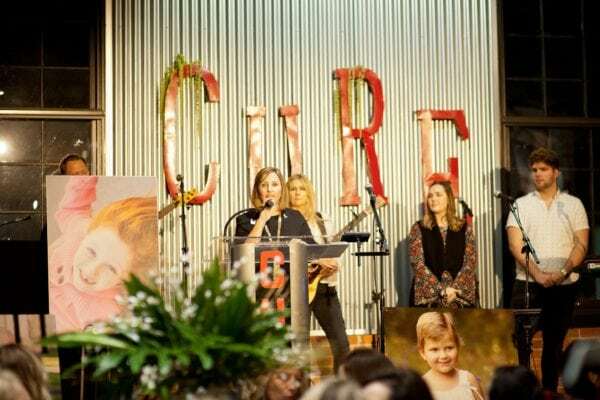 CURE Childhood Cancer had been an organization that was helpful to the Wilkins throughout Catie’s treatment. 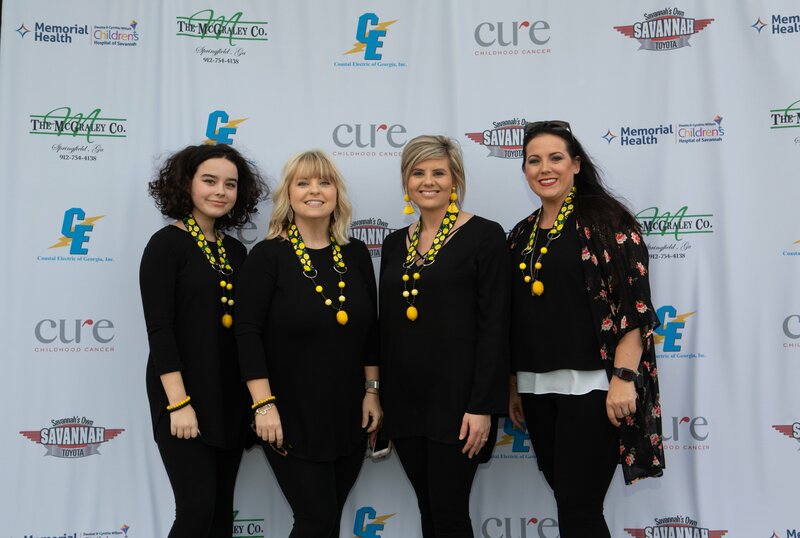 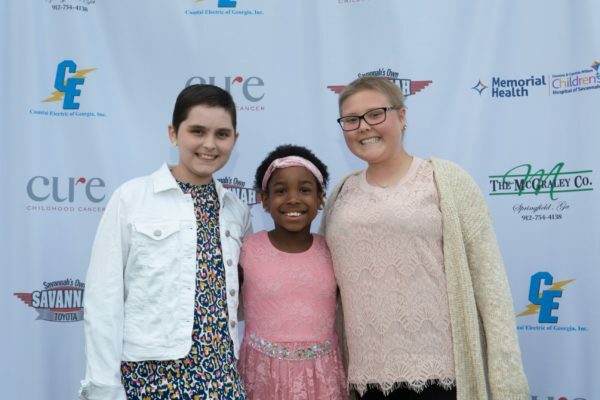 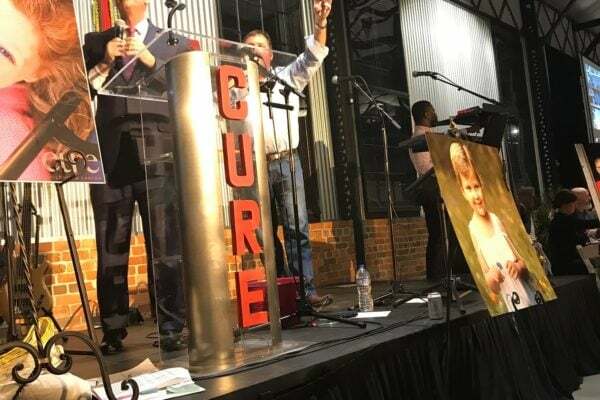 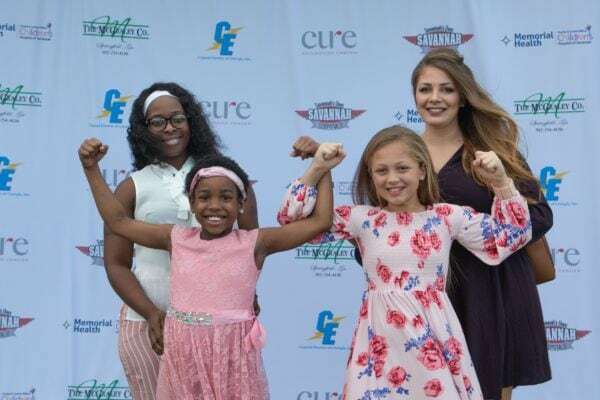 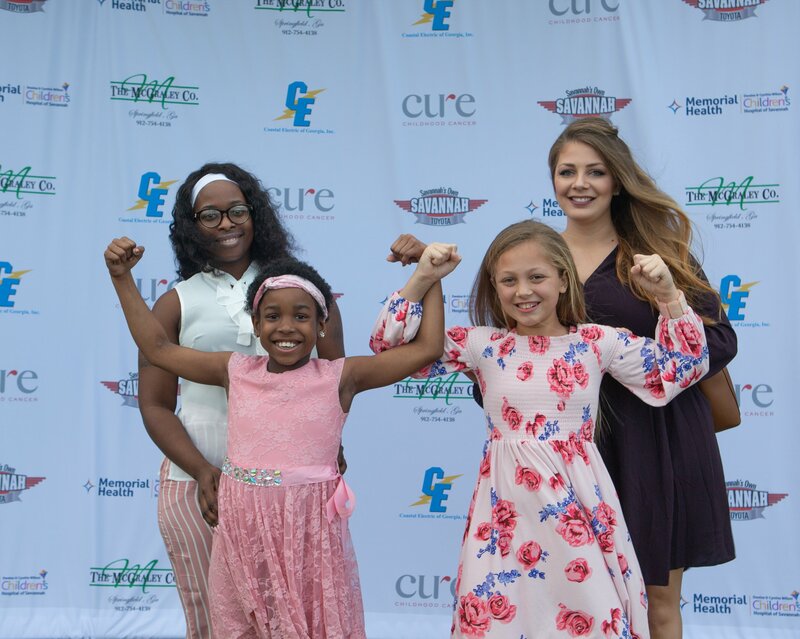 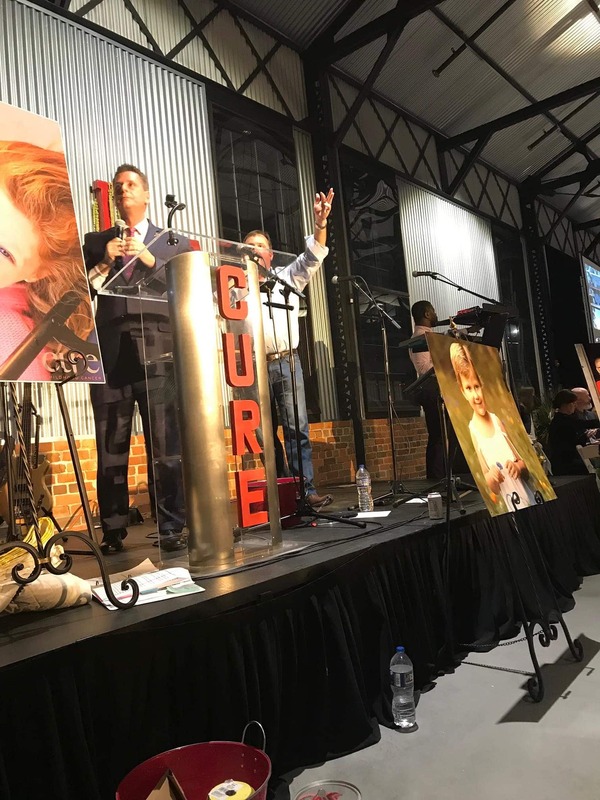 They liked CURE because not only did CURE fund exclusively pediatric cancer research, but it served patients and families as well, something no other organization in the area was doing at the time. The Wilkins set up a named fund through CURE called Catie’s Fund and committed to raising funds to support CURE’s research grants. 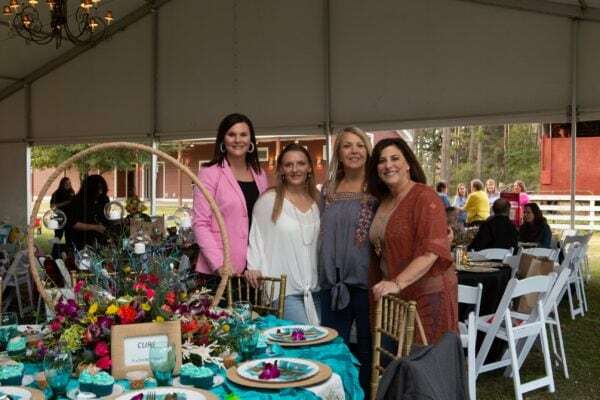 The Wilkins tried fundraising through golf tournaments and sporting events, but they didn’t enjoy hosting those events. 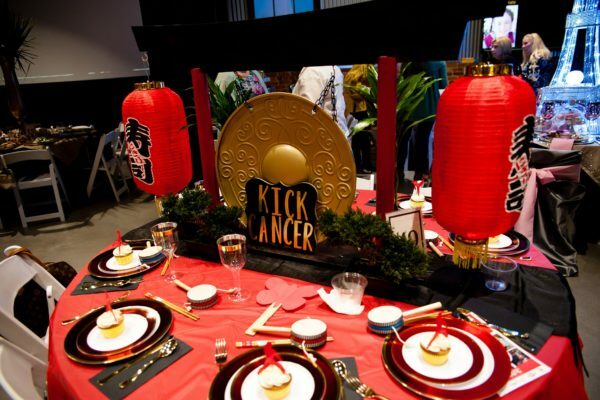 In 2009, Jenny and a friend were brainstorming fundraising ideas and decided to try something different. 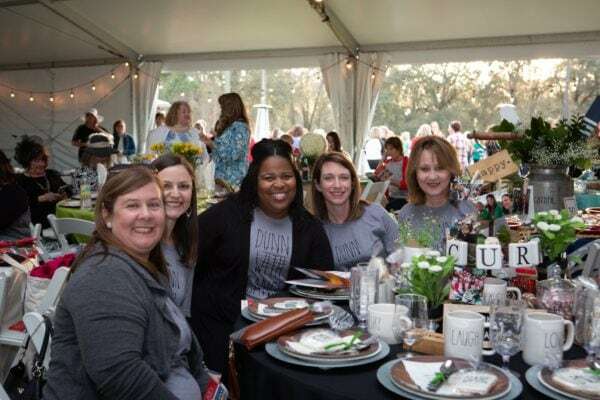 They wanted to solicit women as table hostesses who would invite friends, decorate their table, and enjoy an evening for a great cause. 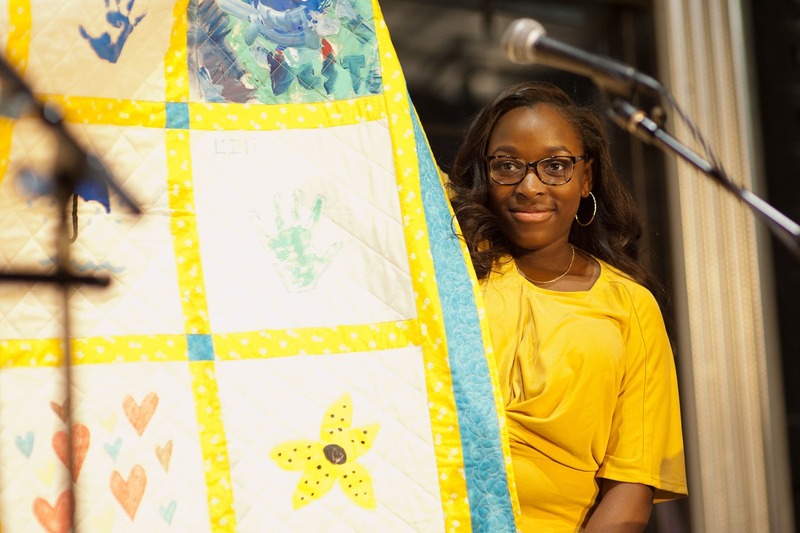 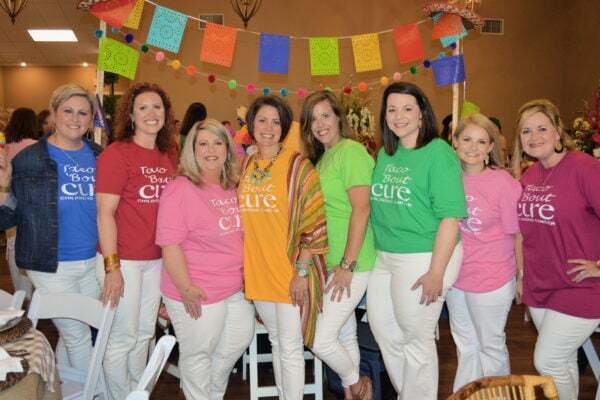 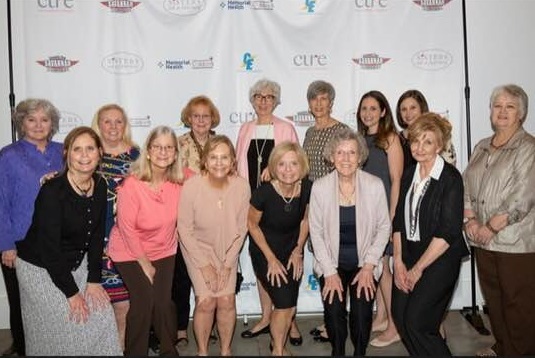 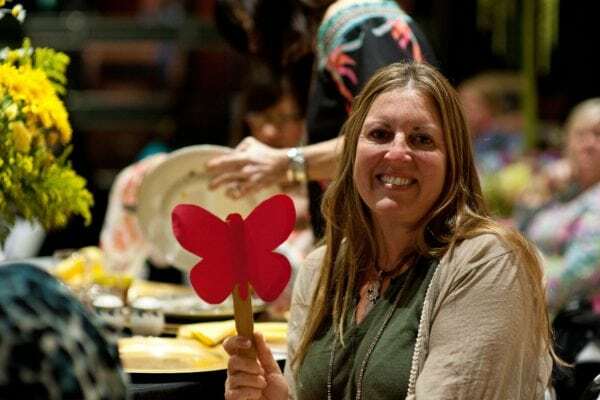 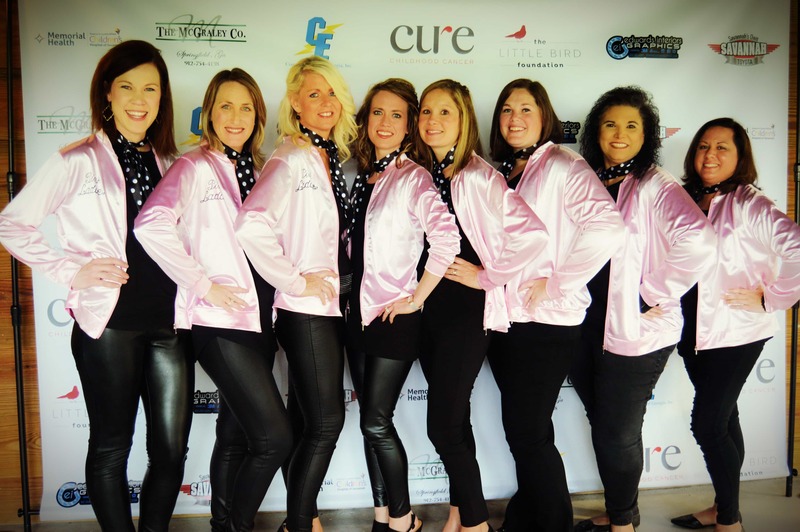 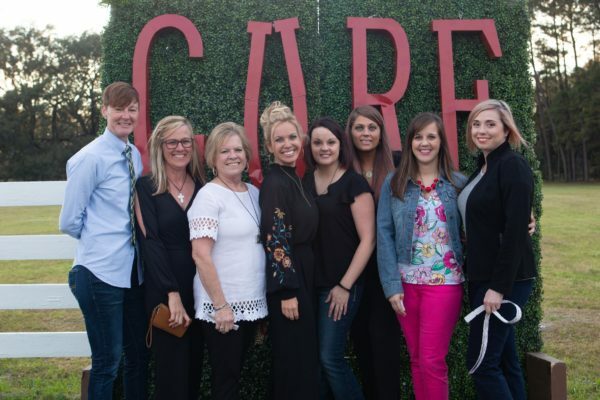 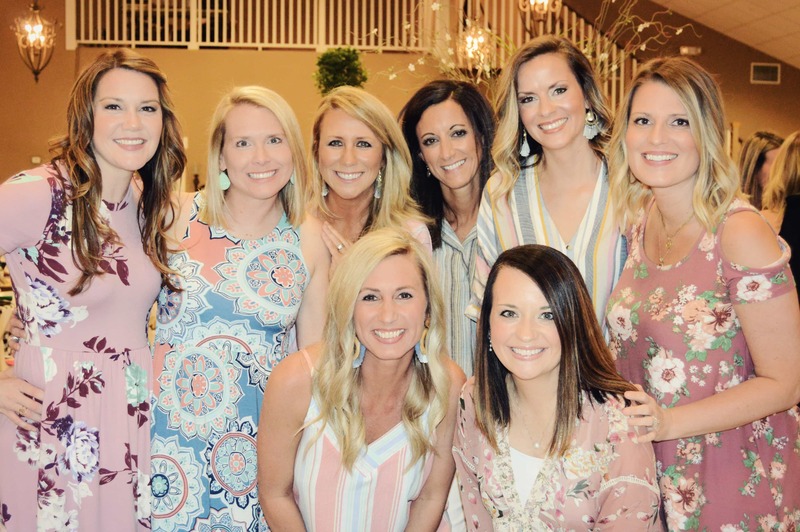 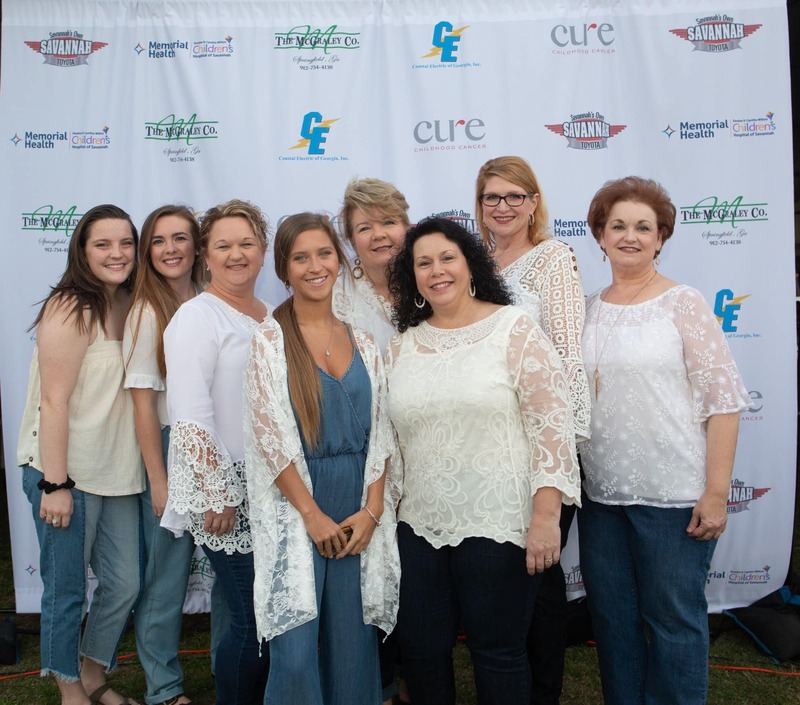 Their idea was to name the event, “Sisters on a Journey,” referring to all the friends, family members, fellow cancer moms, nurses, co-workers, and community members who supported the Wilkins throughout their journey. 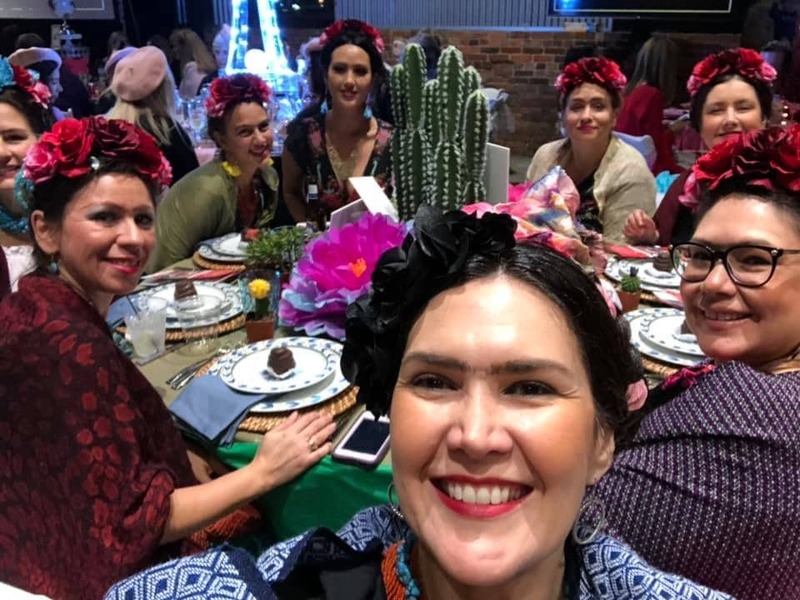 The first Sisters on a Journey dinner was held in the social hall of a local church. 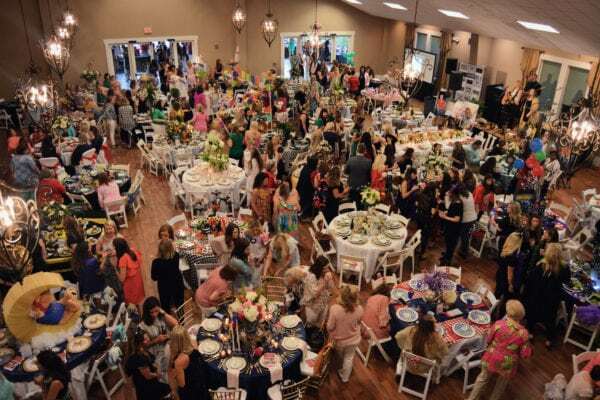 About 150 women attended and raised $5000. Jenny and Tre felt the event was a success and decided to do it again. Each year since 2009, Sisters on a Journey has experienced significant growth. 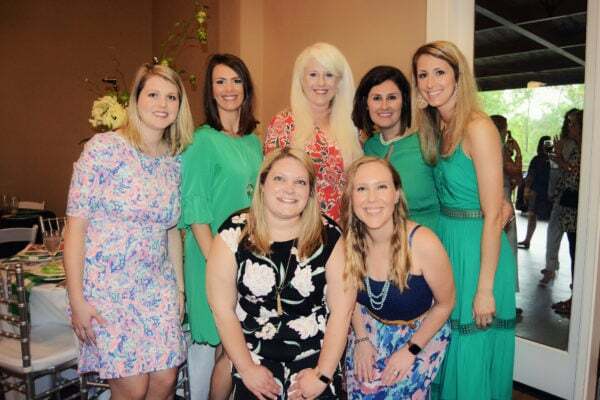 Jenny Wilkins now has a team of volunteers who serve on a planning committee. 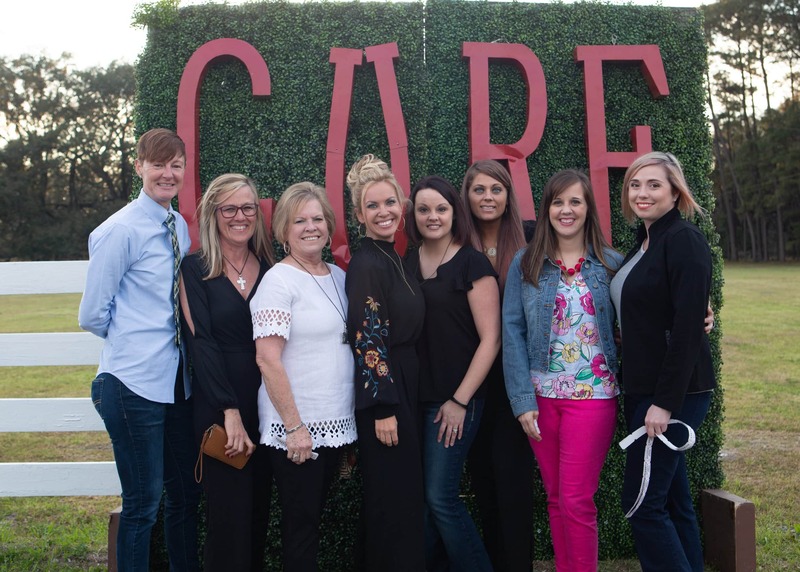 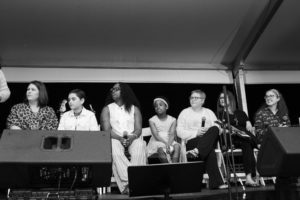 Jenny partnered up with Mandy Garola, CURE’s Patient and Family Services Manager in Savannah, in 2014 to replicate the event in Savannah to reach more people. 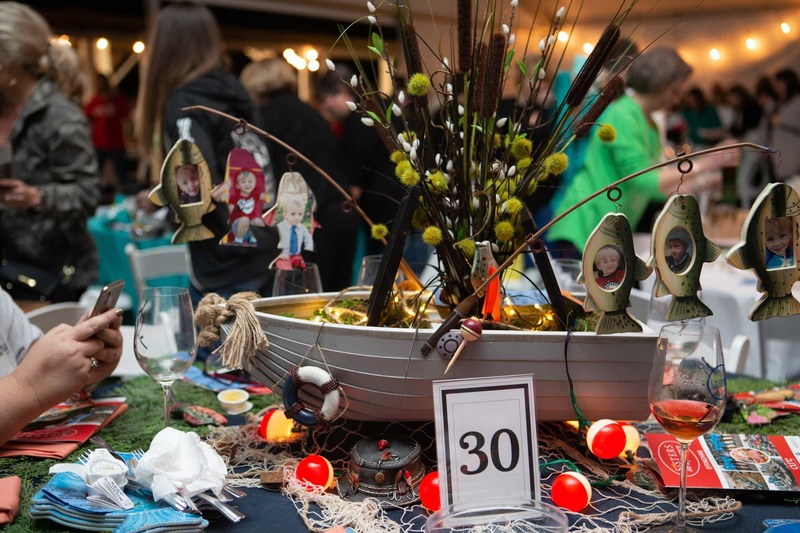 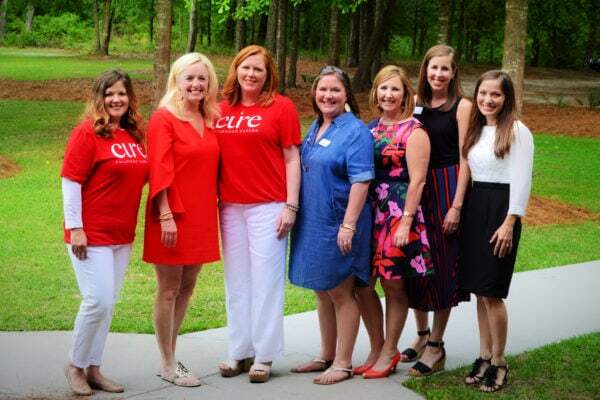 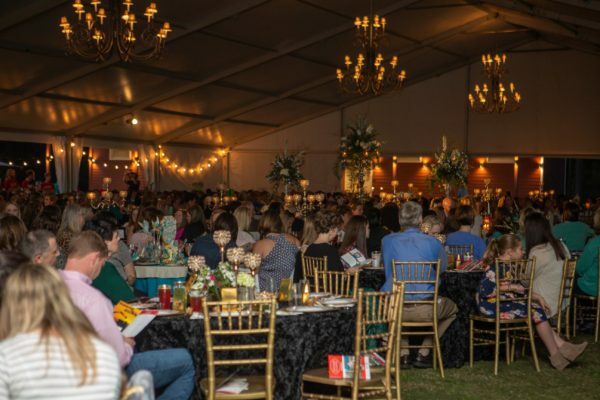 In 2015, more than 120 women committed to hosting tables in Savannah and the original Effingham County location. 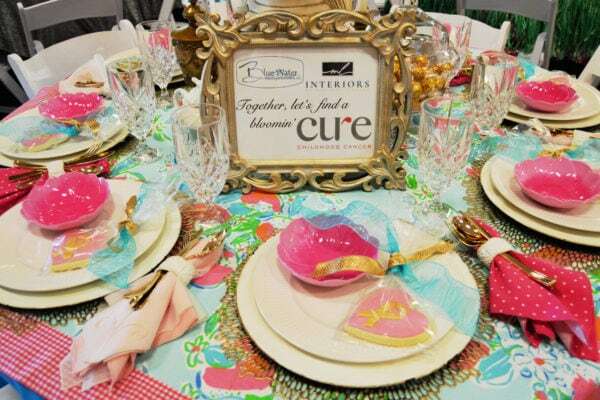 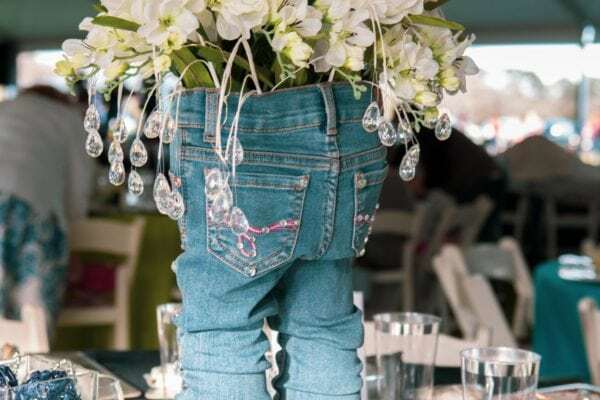 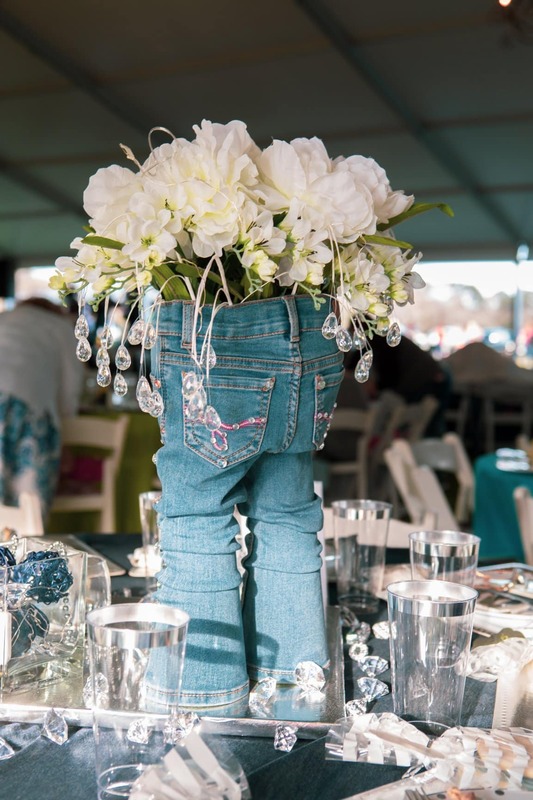 The table hostesses elaborately decorate their own tables which makes the event fun and unique. 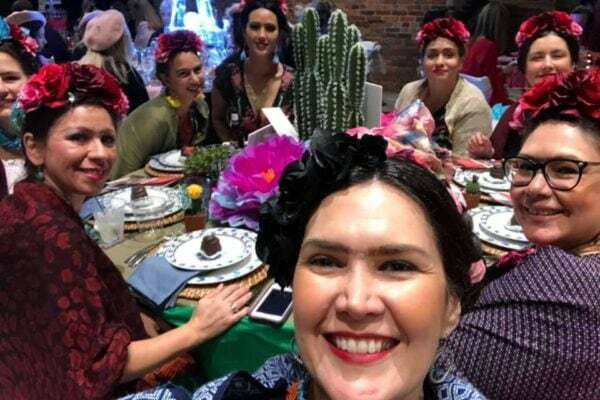 Many guests match their dress to their table theme. 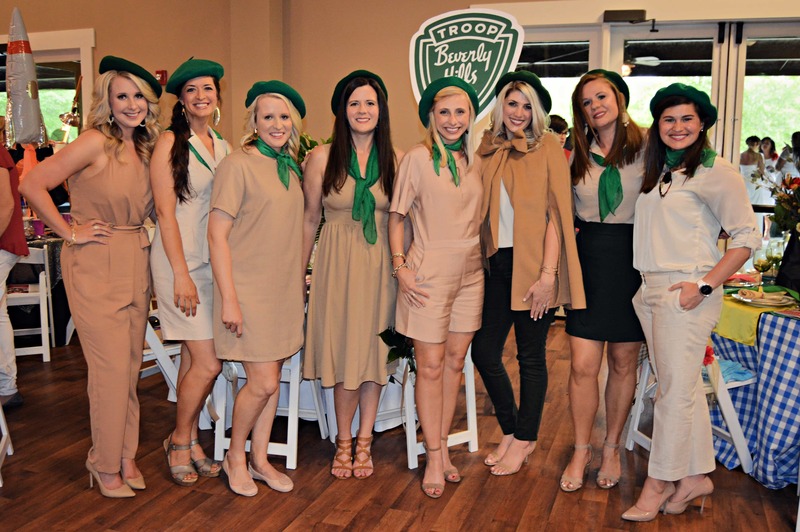 Last year, a group of pediatric oncology nurses from Savannah came donned in their 1920’s-inspired attire to match their Gatsby themed table. 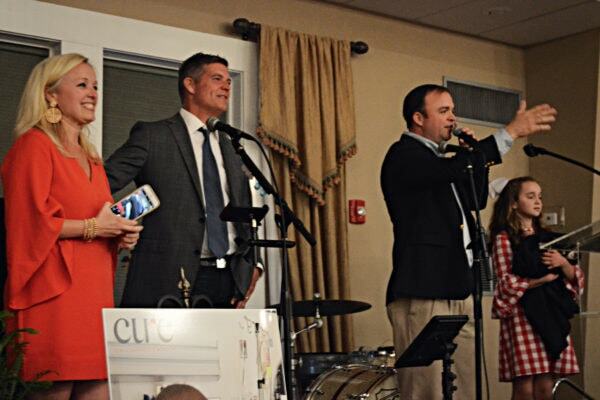 Both the Savannah and Effingham dinners included a live and silent auction and raised more than $110,000 for Catie’s Fund to fund research. 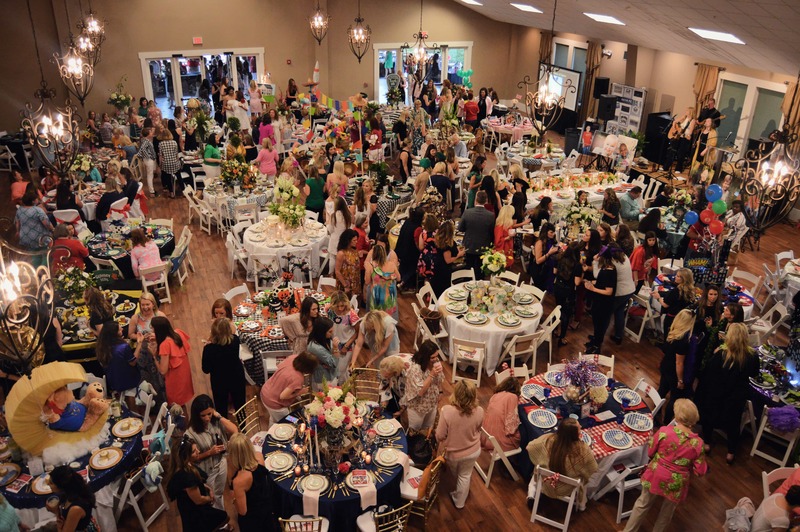 The event continues to grow, expanding to Statesboro in 2016 and adding a Bryan County event in 2017. 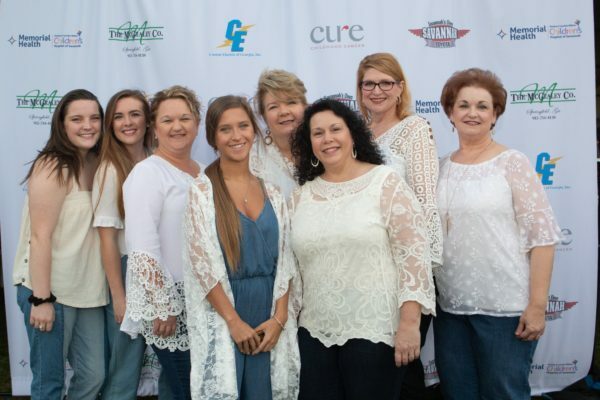 Sisters on a Journey has become something guests look forward to each year. 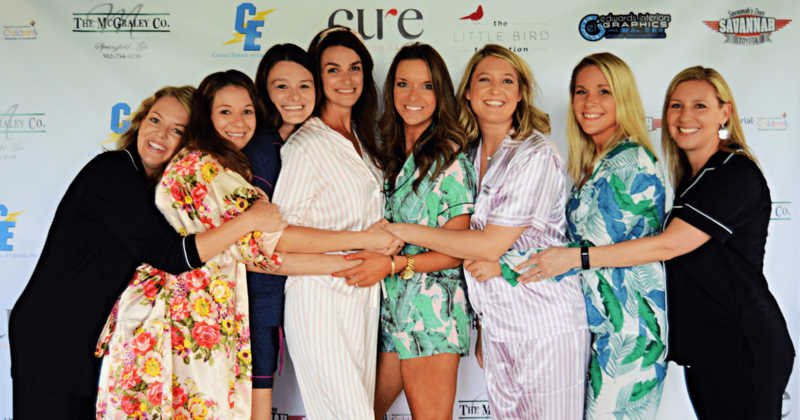 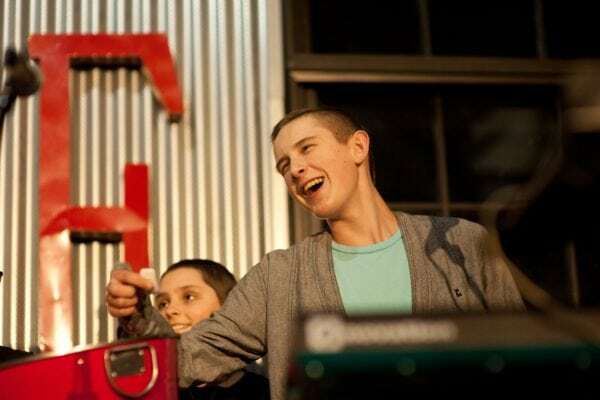 With the help of loyal hostesses and guests, Catie’s Fund has raised more than $500,000 in the past six years. It’s amazing what the vision of one family has inspired.